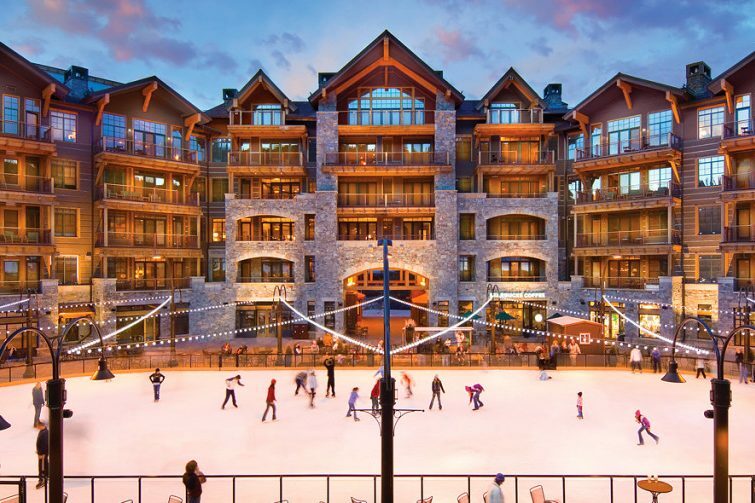 As anyone who has recently visited a large ski resort knows, high-tech ski concierge services are growing in popularity these days. Destination resorts are making every effort to attend to customers’ every need and keep them comfortable. To that end, California’s Northstar-at-Tahoe ski resort offers its guests ski-storage and locker-room services. In an effort to raise the convenience level even more, the resort decided to invest in NFC-enabled cards for accessing those services. Here’s how it works: Skiers can purchase access to locker and gear-storage rooms, good for the entire winter season at different levels – bronze, gold, and platinum. Once the group or family selects a desired locker or rack, an employee activates each person’s card so it will unlock the entrance door and that individual’s locker or ski rack. For gold and platinum members, the card can also be used to open the lounge door. Encoded in the NFC-enabled cards is the last date of winter season. Once that date has passed, the cards no longer have functionality. Andy Buckley, Northstar’s director of resort experience, explains with the GANTNER system guests can place the cards in hip pockets, close to the level of the door handles on the main entrances, so the GANTNER reader can pick up the card’s encoded ID. Once the door unlocks, a visitor can open it with a free hand, rather than putting down skis or other gear and fishing a key out of a pocket, thus providing a more convenient experience for resort visitors.